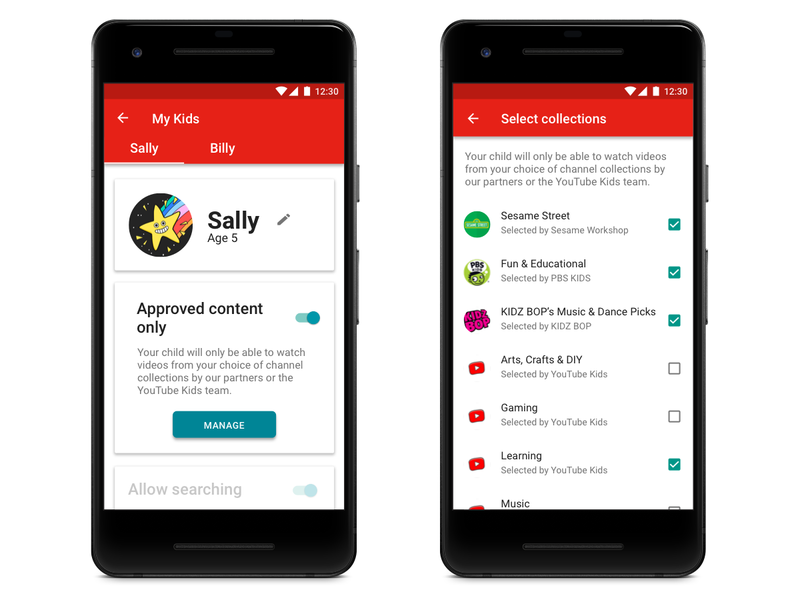 : Starting this week, our partners and the YouTube Kids team will offer collections of trusted channels on a variety of subjects from arts & crafts and music to sports, learning, and so much more. This makes it easy for parents to select only the channel collections and topics they want their kids to access. Just go into Profile Settings, and select from available collections such as Sesame Workshop and PBS KIDS. We will continue to add more partners over time. For parents who like the current version of YouTube Kids and want a wider selection of content, it’s still available. While no system is perfect, we continue to fine-tune, rigorously test and improve our filters for this more open version of our app. And, as always, we encourage parents to block and flag videos for review that they don't think should be in the YouTube Kids app. This makes YouTube Kids better for everyone. James Beser, Product Director for YouTube Kids, recently watched "Photosynthesis for Kids" on the Kids Learning Tube channel with his 2nd grade daughter.